All available scores for Rock 'n' Roll Is Music Now are in the section below. 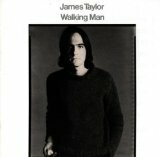 This track was performed by James Taylor. In order to see the sheet music for Rock 'n' Roll Is Music Now please click on the preview button next to the score you are interested in. Should you wish to only view the arrangements for one specific instrument, then please choose the desired instrument in the menu below. This change can only be made if there are sheet music arrangements for more than one instrument. We'd like to encourage you to leave a customer review for the sheet music for Rock 'n' Roll Is Music Now. To do this log in, or create an account if you haven't already got one, then choose a unique screen-name (which is seen publicly), and off you go. Would you like to share this track with your friends? Then just click on the share button on this page, and you can tell your friends an family about this awesome track. We have 1 arrangement of this song available for 4 instruments.